You want it, you got it. Erm, or you can at least ask for it. Google tonight has turned on Wish Lists in the Google Play Store. The really cool part for now is that this isn't just limited to apps. You can bookmark music, magazines, movies & TV or books. 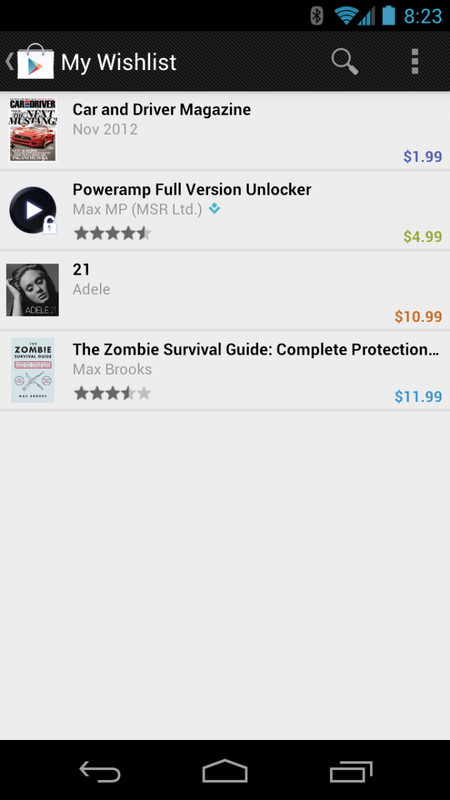 Anything that's in Google Play, you can add to the wish list. Perhaps we'll see more functionality announced in a couple weeks?